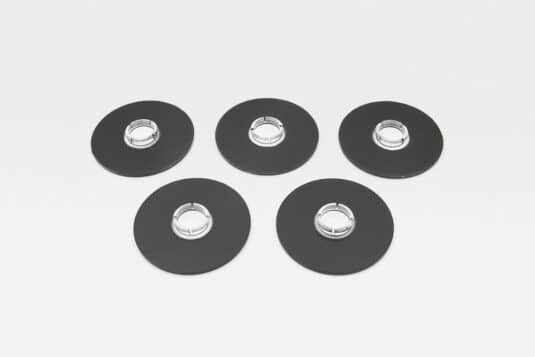 Whether its powders or gels, liquids or textured and soft surfaces, we have adapters that make scanning possible. Not sure if the Nix can work for your surface type? Contact our custom solutions team and we’ll help find the right adapter for your use case! Surfaces that are uneven, textured, plush, or soft can often be difficult to measure accurately. When the scanned surface has areas that are raised or lowered, light from the device will reflect at different points, and the values received will be swayed and inaccurate. To avoid poor scanning conditions such as those, the Flat Adapter can be attached to the bottom of the Nix QC. This creates a uniformed surface scan with consistent and accurate results. Please note: With the Flat Adapter attached, you may see L-values that are lower than those seen without the Flat Adapter due to light geometry. 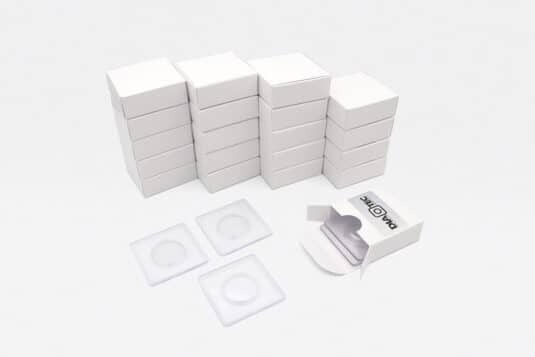 If you are using a Flat Adapter to measure your products, it is important to remember to set the master color while using a Flat Adapter as well. This way, you are comparing apples to apples. Liquids and powders are typically challenging to measure accurately without dirtying or damaging your measurement tool. 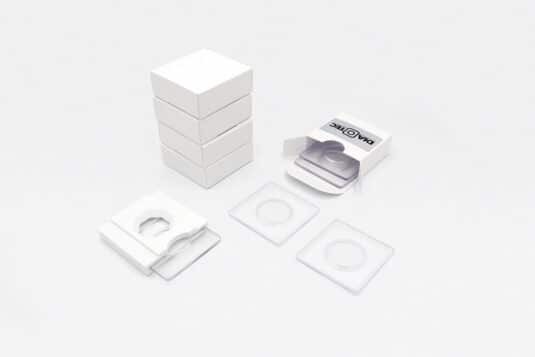 The Liquid and Powder Adapter system allows for easy measurement of all liquids and powders, using capsuled slides containing samples of the scanned material. 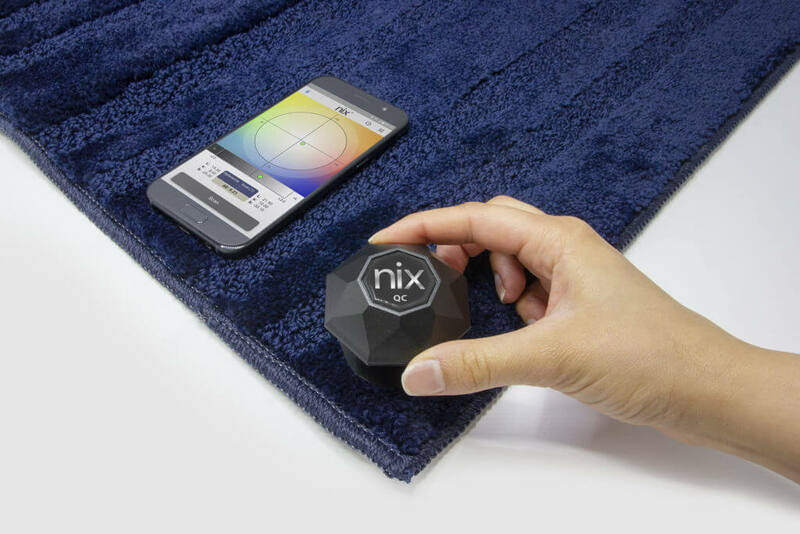 Once the material has been placed into the slide and adapter, the Nix QC can be placed on top to measure the surface color. Please note: When placing the lid back on the slide, try to avoid air bubbles. It’s best to overfill the slide rather than underfill, as this will help reduce any bubbles that might come up. 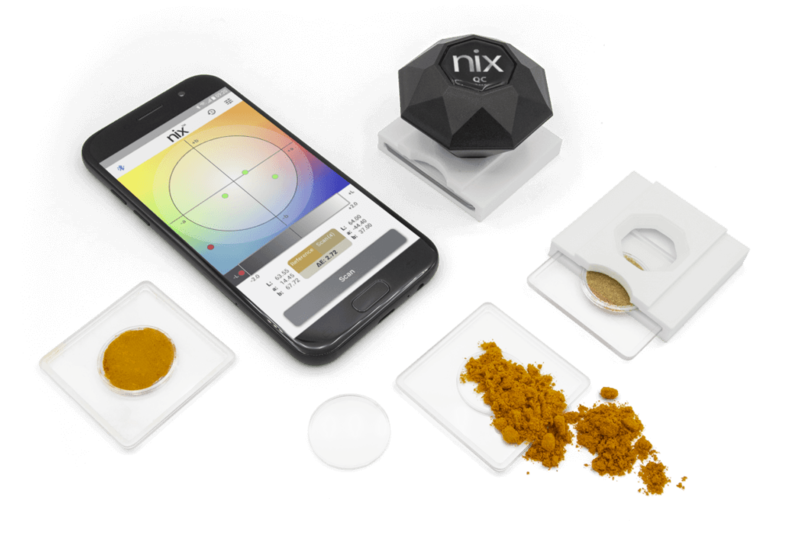 At Nix we take pride in leading the industry with affordable, accurate, and revolutionary color measurement systems that are improving businesses around the world. We can create anything, from simple white-labeled versions of our off-the-shelf product to fully-custom solutions that fit your unique use case. Contact our team of experts to see how we can help improve your existing systems.